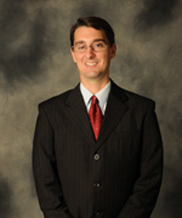 Attorney Wes Sullenger is licensed in Kentucky, Tennessee, and Illinois. Through special admission processes, Wes Sullenger has handled employment discrimination, unpaid overtime, and other employment law matters in federal and state courts throughout the country. In state law matters -- such as divorce, child custody, or child visitation; criminal defense; and wills, powers of attorney, and trusts -- the firm can practice in states in which its attorneys are licensed.